There are always two sides to any story. The person you see so happy and excited on social media might be depressed in real life. You never know exactly about the person on the other side of the phone. Social media these days is affecting people a lot in various ways. People assume others to be happy and enjoying their lives by just seeing their posts and stories. You never know the real person, the person you only know and like is a different type of person the platform of social media. People start getting jealous by seeing someone else’s things over the internet without even realizing if the items are actually of that person or not. Who Doesn’t Like A Bit Of Fame? Everyone is a person with feelings and sentiments attached to it. We all want to be loved by someone. We all desire to be someone’s favourite. And we can't do anything about it at all but think of ways to be loved by people. Almost everyone has the curiosity to gain more followers and to be more famous. The most commonly asked question among people is how to become an Instagram model or how to gain more real followers? People will never be satisfied with they have, and they will always look for the things others have. It is a digital world we are living in right now. Now everything can be done via the internet with the access of cellphones. Cellphones and the internet made our lives easy. Now we can do anything through our cell phones from doing online shopping to paying the electricity bills as well. Everything is now dependable on the cell phone. People depend on their cell phones for everything now. Even you can do jobs by sitting at home as well. 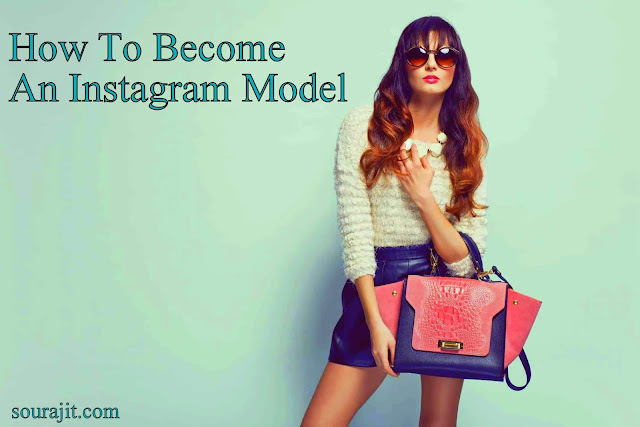 The query that arises in so many minds about how to become an Instagram model has a solution. The following are the steps you can follow to become an Instagram model and to gain fame you desire the most. The following are the steps towards the goal of becoming an Instagram model. If you are a person with love for fame and want to live a life being known by all, then the following steps are the key to reach the glory of becoming an Instagram model. If you want to become a model, this means that you already have an interest in fashion. Visit different brands to check the new trending thing. Know about photography, clothing, and makeup as well. The very core element to become an Instagram model is by knowing about the latest trends of society. You should know the clothing and the jewelry or make-up that suits you the most. The be recognized by other your first need to know yourself and then construct a portfolio for others. Try to make it all theme based because this attracts more followers than anything else at all. On Instagram, you can be known by the use of hashtags. To gain more followers use hashtags along with your public photos. To most primary way to make people listen to you is by telling them about your thoughts, about your feelings. Your caption plays a very vital role in attracting followers. So choose the best-suited caption for your photos so that people can feel related to it all. Always use the first person content, so that people would feel more engaged. To attract followers, you first need to know about followers. You need to see the kind of things your followers want to see on your profile. How to become an Instagram model is not a problem anymore. You need to engage your follower by talking with them directly. Your followers can either make you reach the top or the bottom as well. So treat them nicely, you should know that the fame you have is because of your followers so never disrespect any of them. Another way to become an Instagram model is by collaborating with different people. With this, you can achieve more followers. Do shoots, or videos with some other Instagrammers to attract their follower to your account. In this way, you can quickly gain more followers without worrying about anything else at all. You need to stay focused on your goal to become an Instagram model. If you lose passion with time, you will never reach your goal at all. The key to achieving any goal is by being focused and passionate about it. Only with that, you can become whatever you want to be. The kind of content you post matters a lot. So after analyzing your followers' interests start marking different types of content according to your followers. Post different pictures or videos with some meaning message to the followers. With this, you can become an Instagram model within a specified time. How to become an Instagram model is possible now; all you need to do is to be focused on your goal and then accomplish the goal by following the mentioned above tips.